Despite all of his struggles in adjusting to his new environment, whether it were questions about the blues, dressing differently or not finding a faculty role model, Wideman’s success at Penn remains unprecedented. Based on all of his achievements during his four years at Penn, Wideman was awarded the prestigious Rhodes Scholarship. Wideman and another student from California became the first African Americans to win the Rhodes Scholarship since 1938. As retold in countless publications across the country, Wideman interviewed for the Rhodes Scholarship in Baltimore the afternoon before a game against Vanderbilt. Not knowing the outcome of his scholarship, Wideman hurried back to Philadelphia to lead Penn to victory. “Suddenly, it seemed I was Galahad rushing to the rescue, trying to get there in time to save the team,” Wideman heroically explained to the Inquirer. After the game, Wideman was informed that he had in fact won the scholarship, his second and significantly more important victory of the day. While the article alludes to Wideman’s struggles in the white Penn community, the general consensus of the article indicates that Wideman eventually worked his way around any racial problems. As a result of Shalit’s portrayal, the article provided the nation with a misleading perception of Wideman’s campus life. Look quoted Wideman as saying, “‘I used to feel relaxed with Negroes, but now I feel the same with white friends.” While not necessarily false, without providing more detail, the magazine does not reveal the entire story behind Wideman’s friends. My circle of friends was restricted by circumstance rather than choice. Having much in common with people is a good beginning for friendship, good enough so that many external differences as race and religion are overlooked…The danger of the college experience is that it tends to make one forget. After playing ball, socializing, living with men as equals during four years, it is natural to project this ideal situation as the rule and not the exception. Unlike the magnanimous friendships portrayed by Look, only common experience allowed Wideman to meet white friends. Nonetheless, Wideman did in fact form a strong bond with his teammates due to circumstance, regardless of race. 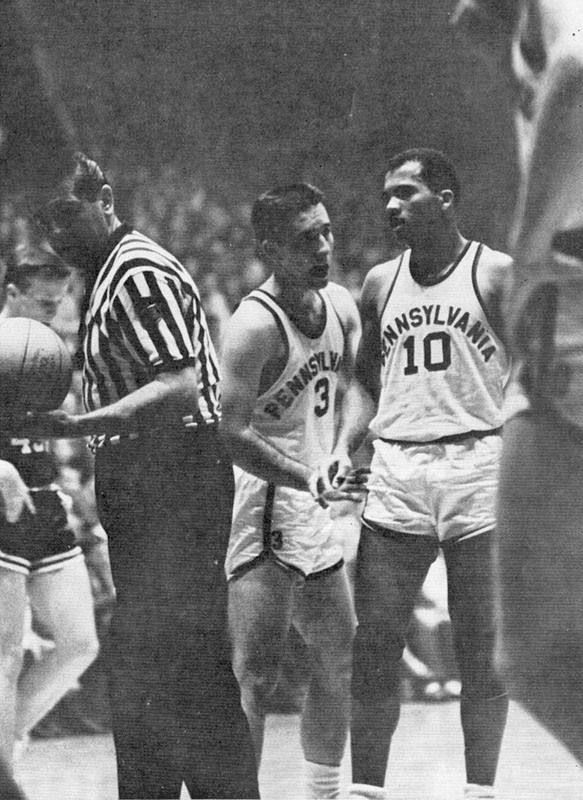 During the 1963 season Wideman roomed with three fellow seniors, Dave Robinson, J.D. Graham and Bob Purdy. The quartet would often throw parties in their off campus apartment. Despite Wideman’s national acclaim during the ’63 season, his teammates appeared incredibly congratulatory and seldom jealous. After Wideman won the Rhodes Scholarship, his teammates jokingly provided him with a British umbrella and a bowler hat to prepare him for his stay in London. Even though he developed a bond with his teammates, he still never felt comfortable, as these were his friends that could not understand why he would wear such a long tie or who, in Wideman’s opinion, owned far too many undershirts. 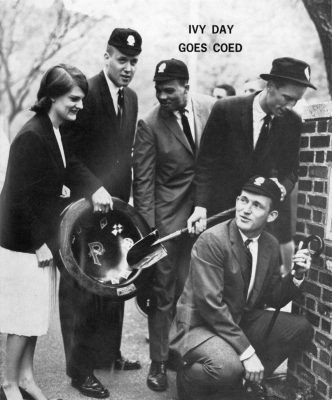 While Wideman’s struggles to find his identity and feel comfortable at Penn could have been an isolated case, he himself indicated that his difficulties were not unique. Despite the small number of African Americans on campus, people nonetheless criticized minorities that appeared to have come to Penn on athletic merit only, according to Wideman. Inquirer columnist Frank Dolson analyzed what Wideman dubbed “the hypercritical atmosphere” at Penn. Dolson quoted Wideman as saying, “‘We have people (undergraduates) here who want to go out to a game to laugh and have a good time…Then the team starts winning and those people say, ‘You’re importing animals to play. '” While Wideman’s comments may not be specific to race, he sends a clear message that, regardless of success, those who were perceived as outsiders were still conspicuous and not openly accepted on Penn’s campus.